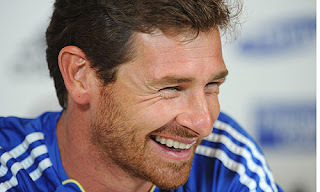 Andre Villas-Boas claims the Premier League, not the Champions League, is the priority for Chelsea this season. That may be news to owner Roman Abramovich, not to mention Carlo Ancelotti, who became the latest casualty of the Russian owner’s eight-year reign after failing to deliver the trophy the billionaire covets above all others. But ahead of Sunday's opening fixture - the quintessentially English challenge of Stoke at the Britannia Stadium - Villas-Boas is adamant it would be the stuff of dreams to match Ancelotti’s Double-winning season. However, he will leave European glory in the lap of the gods. "The domestic title is always the priority," said Villas-Boas, the seventh manager of the Abramovich era. "I wouldn’t be satisfied if we don’t win the Premiership. If I win all four trophies, I’ll retire."